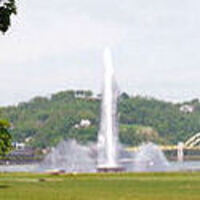 Join our park naturalist for a 2 hour hike along the river trails around Downtown Pittsburgh. While on this hike, we will talk about what crops were once grown and harvested at Fort Pitt. How many miles we hike depends on how fast we all move! Make sure to wear appropriate shoes and dress for the weather. Space is limited, so registration is required. Please register by clicking the green "register" button on the right. Meeting location will be emailed to you after you register.